On 10 June 2016 the Cadence Ensemble has performed a program dedicated to the 95th jubilee of Astor Piazzolla. The program included works by Astor Piazzolla, Walter Rios, Richard Galliano, Ángel G.V.Arroyo, Alberto A.M. Herrera, Remo Anzovino. 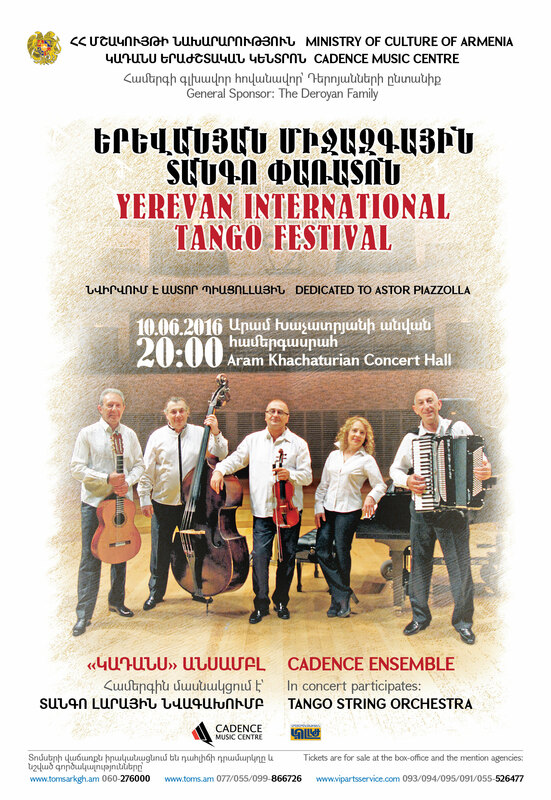 The concert took place at Aram Khachaturian Hall.